Play Your Way – Buy 1, Get 1 FREE + Specialty Desserts only on Valentine’s Day! 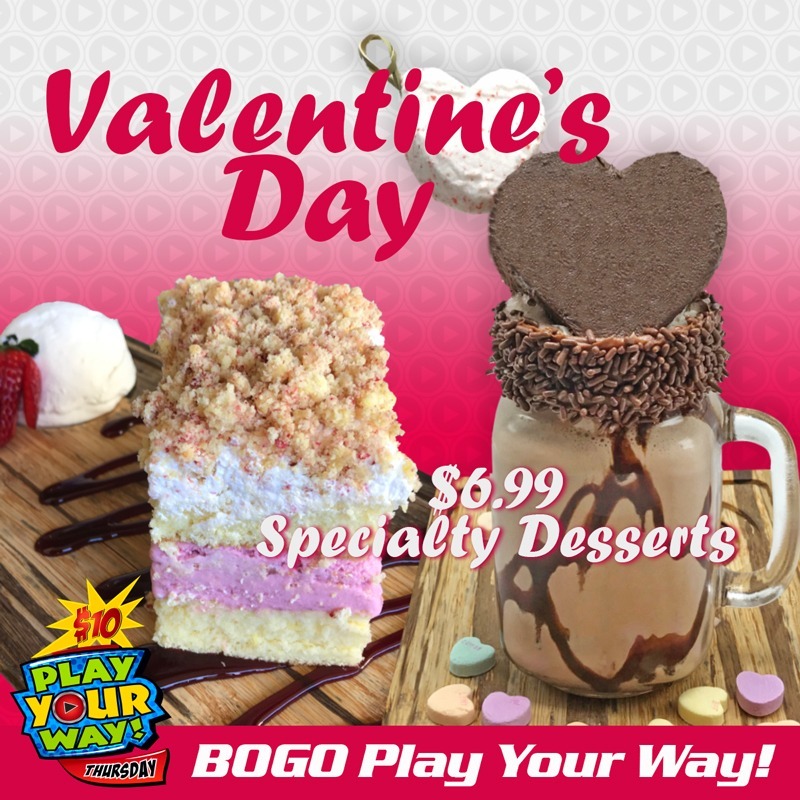 That’s right GTplayers, we are offering a BOGO deal on our biggest promotion of the week – Buy 1 Get 1 on “Play Your Way” available only on February 14th from 7pm – 12am for you and your Valentine! Enjoy specialty desserts “Strawberry Crunch” and “Valentine’s Shake” for only $6.99 available all weekend long (2/14 – 2/17)! Click here to see more promotions available on 2/14 like ‘Happy Hour’ and the ‘Dine N’ Play’ Combo. Click below for more details regarding a GameTime near you.